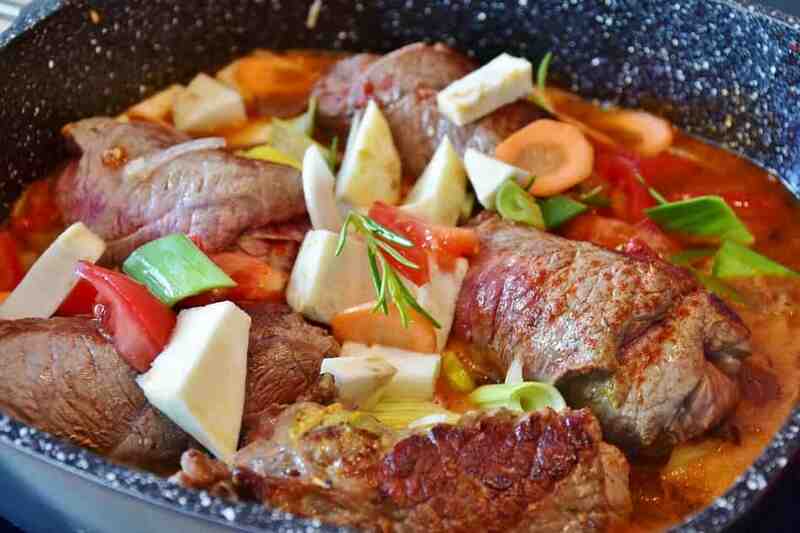 Best Pan for Braising in 2019 | Tried, tested and reviewed. 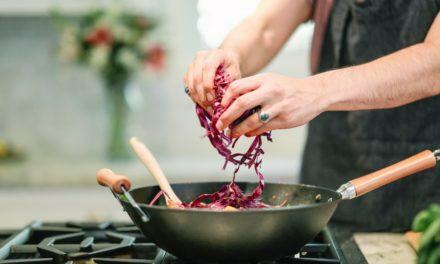 Braising is a cooking method that requires you to combine two cooking process – first you need to sear the food at high heat, and then let it braise in a liquid of choice for an extended period of time. When it comes to hearty home-cooked meals, braising is really a fool-proof method, but you do need the right pan. 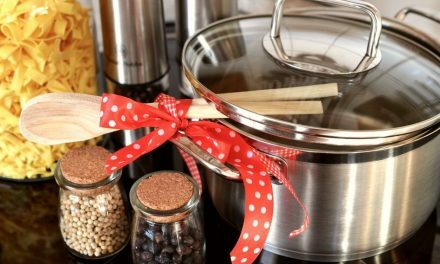 Braising can be done both on the stove top and in the oven, but in any case, the pot will need to have a tight-fitting lid to lock in the moisture. Moreover, braising pans need to have a large cooking surface for the browning part combined with higher sides that allow you to add the liquid. When it comes to braisers, cast iron and stainless steel are both good options. 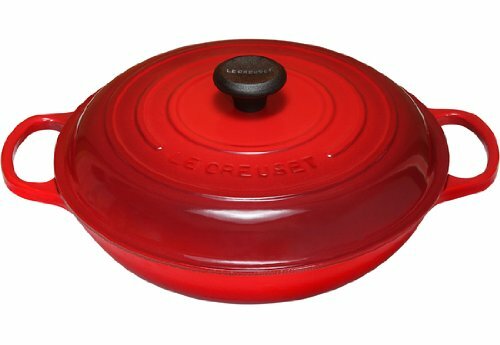 Le Creuset is a French cookware manufacturer with a long history, and they are best known for their colorful enameled cast iron cookware. This braiser by Le Creuset is a beautiful pan for braising. It has a capacity of 3.5 quarts, which is enough for medium to large cuts of meat, for example. However, if you are looking for a pan in which you can braise extremely large cuts of meat, there is also a 5-quart version. This braiser features a heavy cast iron construction that retains heat really well and maintains a stable temperature. The cast iron is covered with an enamel coating. See how to clean these pans. The enamel is sand-colored on the inside, but when it comes to the exterior coating, you can choose from a range of vivid colors, which is what Le Creuset is known for, after all. The pan has raised, gently sloping sides, but it is not too deep, which is important for braising. It also comes with a matching cast iron lid. Finally, we love the extra large handles on this braiser. They are comfortable and easy to grasp even while you have oven mitts on, which is really important since cast iron pans are quite heavy. The Anolon 46053 Vesta Cast Iron Covered Braiser is another beautiful cast iron pan, perfect for braising but also useful for many other techniques. 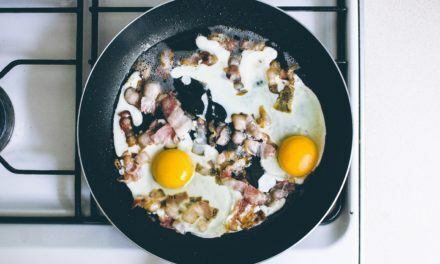 It works well for searing and browning too, and it’s completely oven safe so you can use it for recipes that require transferring from the stove top to the oven too. The cast iron is covered with a beautiful and durable enamel coating that comes in two color options – Cobalt Blue and Paprika Red. The interior enamel coating is black, so you will never have to worry about staining. 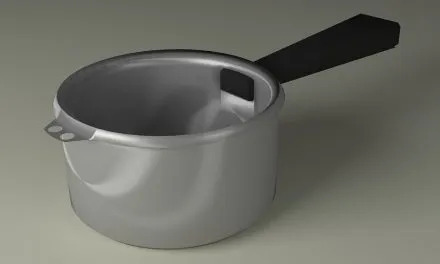 The diameter of the pan is approximately 12 inches and it comes with a matching, tight-fitting lid. The lid has a nice stainless steel handle at the top. Overall, an ideal pan both for braising and for serving the food. All-Clad stainless steel cookware is certainly one of the best options in this category. What we love the most is that their pans have a special 4-ply bonded construction. It involves alternating layers of stainless steel and aluminum. The aluminum exterior makes the pan durable, resistant to damage, and dishwasher-safe, while the inside aluminum layer provides superior heat conductivity. The All-Clad BD55403 Unisex D5 Brushed 3 Quart Saute Pan features a large cooking surface so the juices can evaporate, but it also has tall sides. The stainless steel lid keeps the moisture and the flavor inside. This pan features a long handle stainless steel, double-riveted handle and a helper handle on the other side. It’s a great braiser especially for people who use induction stoves since it has been optimized for this kind of stove-top. Finally, since all parts are made of stainless steel, this pan is oven-safe up to 600 degrees Fahrenheit. The Tramontina 80116/009DS Gourmet Stainless Steel Covered Braiser features an induction-ready tri-ply stainless steel construction that provides excellent results. While the stainless steel exterior makes the pan easy to clean and maintain, a layer of aluminum is sandwiched between the stainless steel layers to provide better heat transfer and responsiveness. What really makes this braiser stand out among the other is the design. It has a beautiful polished finish on the outside, and two riveted cast stainless steel handles on the sides. The handles are quite large and feel really comfortable when you hold the pan. A nicely fitting lid is also included. The pan will work great for sauteing, browning, and braising, and it will last a lifetime since stainless steel is virtually indestructible. It’s also dishwasher-safe and suitable for use in the oven, so there is really nothing to worry about. What is the best pan for braising? It is hard to say, but you won’t be disappointed if you go with any form our list. Cast iron braisers like the Le Creuset Signature Enameled Cast-Iron 3-3/4-Quart Round Braiser and the All-Clad BD55403 Unisex D5 Brushed 3 Quart Saute Pan with Lid Stainless Steel Skillet are great for braising because they retain heat really well and allow you to maintain a stable temperature inside the pan. This is especially useful when you prepare dishes that require transferring from the stove top into the oven. However, cast iron is quite heavy. For those who would like something a bit lighter, stainless steel is a great option. Bot the All-Clad BD55403 Unisex D5 Brushed 3 Quart Saute Pan with Lid Stainless Steel Skillet and the Tramontina 80116/009DS Gourmet Stainless Steel Induction-Ready Tri-Ply Clad, NSF-Certified 3 Quart Covered Braiser are made of stainless steel with an aluminum core for better heat conduction. See also our ultimate guide to cookware and our reviews of the best cookware sets.